Given enough time — and the gift of eternal life, one assumes — a monkey typing at random would almost surely produce all of Shakespeare’s plays. 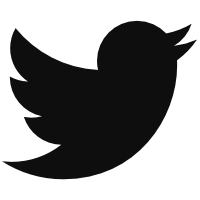 Given an afternoon in Peter Gammons’ pocket, Peter Gammons’ cell phone will produce an endorsement, via Twitter, of my colleague Jackie Moore’s recent piece about Ken Caminiti. 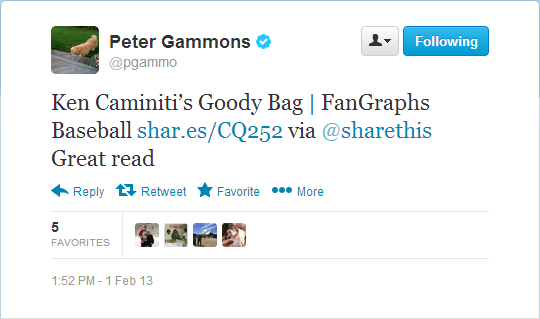 We hoped you liked reading Peter Gammons’ Most Elaborate Pocket Tweet Yet by Carson Cistulli!